The SP chief was headed to Allahabad University where his party’s students’ wing, the Samajwadi Party Chhatrasabha, was holding an event. 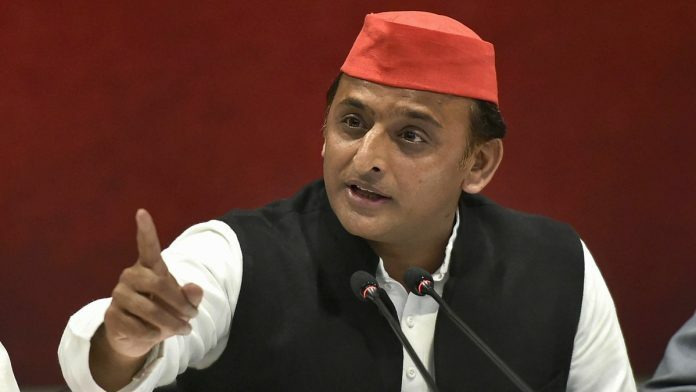 Lucknow: The BJP-led government in Uttar Pradesh is set for another showdown with the Opposition after Samajwadi Party (SP) leader and former chief minister Akhilesh Yadav was ‘detained’ and not allowed to board a chartered flight from Lucknow airport to Prayagraj, where he was to attend an event at the Allahabad University. Akhilesh was allegedly stopped due to “law and order” concerns. In a short video and photographs shared by the SP, Akhilesh is seen being stopped on the tarmac and the aircraft’s steps by officials. He is also heard asking the officers to explain the reason and not touch him. The former chief minister was headed to Allahabad University where his party’s students’ wing, the Samajwadi Party Chhatrasabha, heads the student’s union. Akhilesh was expected to participate in one of their events Tuesday afternoon when he was stopped. “The university administration had not given permission for this so he was stopped,” said Nitin Tiwari, the Prayagraj SSP. 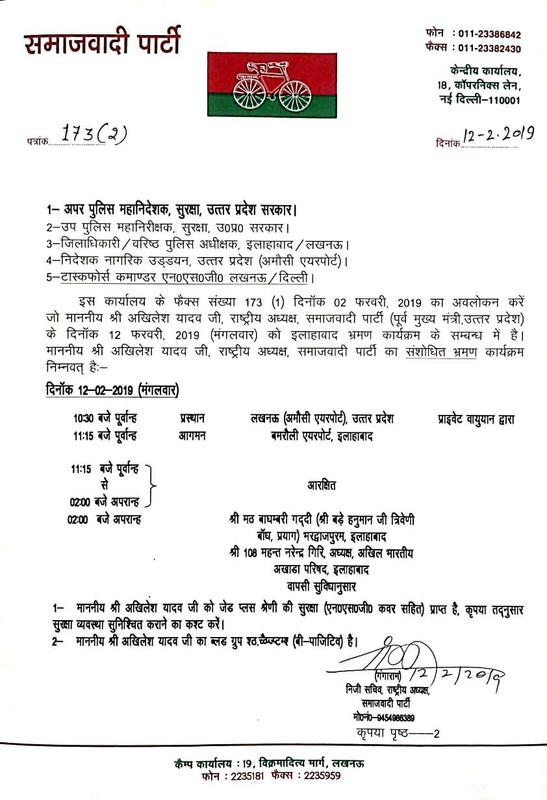 But the Samajwadi Party maintained that all necessary permissions had been taken and produced a permission letter issued from the office of the Prayagraj district magistrate for the visit. 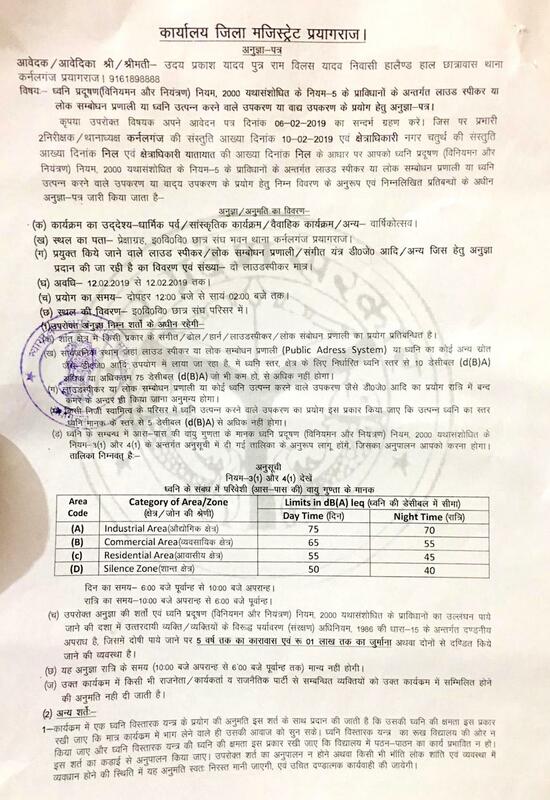 The party also shared another document sent by them to senior police officers, district administration, airport authorities and NSG special taskforce that contained a detailed itinerary of the former CM. UP Chief Minister Adityanath defended the government’s action, saying it was a precautionary measure. The incident comes a week after Adityanath had a similar encounter while he attempted to visit West Bengal amid the stand-off between Mamata Bannerjee’s government and the CBI. Adityanath’s helicopter was not given permission to land in the state, forcing the UP CM to take to the road in order to address a public meeting in Purulia town. Akhilesh alleged that Adityanath’s government was “using this as a cover to hide their nervousness because our youth have had enough”. The incident drew sharp criticism from the Bahujan Samaj Party — the SP’s former rival but now ally. In a series of tweets, BSP chief Mayawati condemned the incident, calling it “anti-democratic and an example of the total dictatorship of BJP government”.